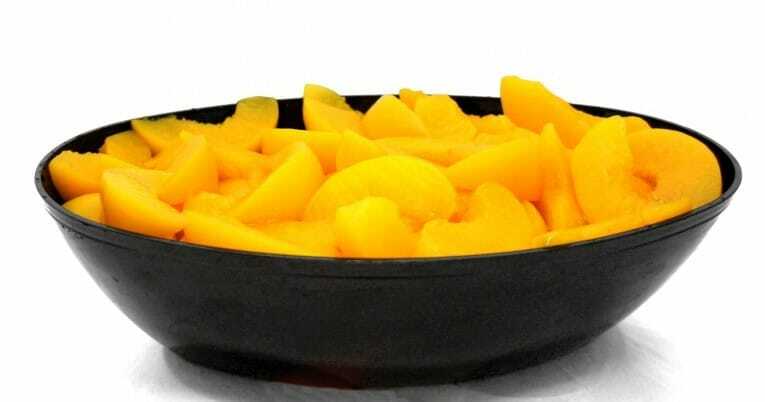 Choice sliced clingstone peaches in the non-nutritive sweetener Sucralose shall be prepared from peaches of similar varietal characteristics that have been washed, peeled and hand sorted for quality. They possess good peach color and character, are reasonably uniform in size, reasonably free of defects and practically free of harmless extraneous plant material. Sealed containers are cooked to ensure commercial sterility then cooled prior to stacking.